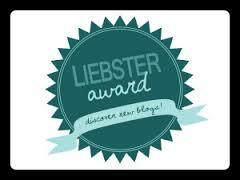 A blogging award! I’m honored and…overwhelmed. There appears to be lots of stuff that must be done to accept this award. Or nothing to do, depending upon one’s perspective. 1. Tea or coffee? Tea – specifically Chai Tea. Oh, if only it didn’t mess with my allergies. 2. Best piece of advice you have ever been given? Discover the lover of your soul, and don’t let go. 3. Which do you prefer Mountain or Beach? Mountains. My parents loved them and tho’ we lived a few miles from the beach when I was a kid, I never went there until I was an adult. We went to the mountains and as we were raised, so I remained. 4. Biggest lie you ever bought? I could change who I was to make someone else happy. They didn’t care and I wasn’t happy. 5. Your dream job? Meeting people’s needs – and having all the resources to do that. The challenge is, even if the resources are there, the hurting and needy people have to take responsibility in receiving or nothing changes. 6. Any phobia? Fear that incapacitates and interferes with joy and purpose. 8. Can you swim? Barely – no confidence I wouldn’t drown. 9. Apart from swimming, what should we all try to learn? Sing! 10. Do you have a pet? Not currently. Birds, cats and dogs over the years, but all aged and died. 11. Can you recommend an Author? Calvin Miller, his SINGER TRILOGY, a poetic narrative in the style of C.S. Lewis and J.R.R Tolkien. Beautiful and well worth reading. ps…are you nosey like my wife? Yes! (b) Answer the eleven questions he asks. Congratulations, nominees. Happy blogging ! This entry was posted in Musings, reviews, Uncategorized, writing 2014 and tagged awards, blog, blogging, Calvin Miller, Chai Tea, Singer Trilogy, Uncategorized, writing 2014. Bookmark the permalink. Congratulations and thank you for accepting, Victoria. I will have a look at your nominated blogs. Wow, a blogging award! I’m flattered, especially since it’s been almost a year since I published anything. But this is good encouragement to return to my neglected little corner of the web, as well as investigate other talented writers around me. Thank you! Yes – just a nudge to say keep on writing because what you have to say is important. Love you.